For my last blog of the season, I wanted to keep it short. It’s Thanksgiving, and I’m writing this at around 9pm. One of the things I’ve noticed about holidays is that after you pass a certain age, the magic behind the holiday starts to fade. And it’s unfortunate, because sometimes when you’re younger, you don’t appreciate the good things until you’re older and the good times have passed. So, remember these good times. Even if, on Saturday we don’t make it. That shouldn’t mean the season was a failure. In contrast, I think this was one of the best season’s we’ve had. The boys team won a nail biter of a sectional race against Ocean, and the girls placed third as a team at the Meet of Champions. We had individuals run times that I’m sure they weren’t expecting at the beginning of the season. We’ve seen freshmen pick up the Varsity torch and carry it as if it weighed nothing at all. Most importantly, I think we finally learned that if you just trust in the training, good things will happen. For the girls, we can do something that has only been done once before in Colts Neck history. But at the same time, we’ve had such a stellar season and we’ve seen so many wonderful and gritty performances, that I can say this was a great year. One race does not define a season and it never will. Think of it like this, if we do go to Oregon, that would be the cherry on top of this sundae of a season. Below is a poem I composed because I’m trying to branch out and become a more rounded writer. I also really like iambic pentameter. Side note: Kevin Hein, please be gentle. This dream will shape and carry victory. Let’s do it. Let’s go for it. Let’s write one more chapter in this strange sport’s history. After all, running long distance is strange to pretty much everyone else. But that doesn’t mean it’s bad. I think it’s cool. Being strange should be meritorious, and be rewarded. But Cross Country is a team sport, and we can’t do it alone, so let’s be stranger together. Cross Country is a harder sport to understand than other sports. I think I’ve said it before, but people who don’t run won’t really understand the training and the logic behind it. But besides that, the thinking and strategy can be broken down analytically. Sabermetrics and statistics have been used in baseball for a while, and I’ve always wanted to see if we could use some of those ideas and statistics in running. For the past three months, we’ve been analyzing races all over the Northeast and New Jersey, trying to figure out how to compare and read different courses and how the teams compare to us. I’ve learned two things from this endeavor. The first, is a new found love for math and statistics, and using both to help understand the sport better. The second one is that, even if I had two lifetimes, I will never know as much about running AND analytics as Schlentz does. Our season started a little slow and we were a banged up. It wasn’t until the Monmouth County race that we really found our mojo. The boys managed to finish second despite losing three legitimate number one runners to graduation, and the girls managed to scorch the earth with a 19:53 average. I was pretty proud of how the chips fell after that race, and we took that motivation into the Shore Conference race. Post-race we were treated to a surprise of a couple of pies and cake from Delicious Orchards. 10 pounds later, I left with coach Schlentz, talked about the race, and discussed our excitement about the upcoming sectional meet. 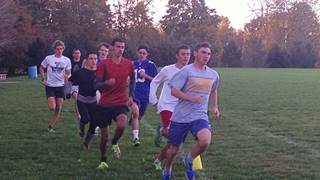 Leading up to the sectional race, I was excited seeing the training we were doing. We did a workout specifically designed to get us ready for a hilly course. It involved running up a hill for 400 meters, and then running back down it, running a mile, and then running another uphill, and finally two 800s and some 300s, just to mix it up. The day of the sectionals comes and I decided to get there a little early to run the course. My senior year was the year they changed the sectional course from Holmdel Park to Thompson, and I never got the chance to run there. I decided to run the course for the first time of my life. To be honest, I kind of like it, the flat part in the beginning is a true cross-country course because it’s on grass, like old school Holmdel before they replaced the grass with dirt and cinder. Then after 3.1 miles, I ran into the woods on the trail and proceeded to get lost for about four and a half miles. The good news is, I discovered a whole new set of hills for the kids to run on. The bad news is that I had no idea whether or not I would make it out for four and a half miles. I enjoyed both races on Saturday. The girls raced smart and strong, and cruised to a great win. The boys, it seemed, decided to be a make it a much more dramatic race. When the race started, you could see that it was going to be close. At the first mile, Ocean seemed to have a million runner ahead of our first. As the race moved on, our boys were able to close the gap on the second mile, by the third mile after the hill, our first five managed to position themselves enough to tie. A tie, I have never been part of a tie in Cross Country in my coaching life. With 400 meters to go, I (along with some help) added up some of the places and managed to place it 44-44 with 400 to go. It ended up coming down to the runner with the most grit that day, Jack Hayes. Jack’s had a great year. He made a huge stride at the county meet and trusted his training. His time on Saturday (17:34) was a big improvement from his previous time. It was, the most exhilarating time I’ve had in a long while. I absolutely loved every second of it. Hats off to Ocean, for running a fantastic race, I have to say that I was very impressed by their running. Blog post Winter track and midway to spring. Don’t be mad at me, I know it’s been a while, so I plan to write a novel to make up for it. So here it goes. After cross country, the team attitude shifted from being a team that had the possibility of doing something, to the team that had done something. For the boys, last year didn’t end as well as some of the guys had hoped. At the end of cross country this year, we got to see a team absolutely smash the Group III title, and finish second in the Meet of Champions by the closest point spread in years. Of the top three teams, one and two were both public schools. Speaking as someone who went to public school for most of their life, this is another huge accomplishment. So the expectations were high going into winter track. Either the boys didn’t feel the pressure or didn’t want to feel it. Either way, they performed just as well as they had in the past. Indoor track gets treated as an in between season. Most coaches tread water for the winter months, hoping that their athletes are going to be fine on the way out, and no one will be the wiser. Overall, the boys repeated as both central jersey three and group three state champs behind one of the most impressive 3200 runs I’ve ever seen. In the group III meet, Jordan, Anthony, and Kevin ran a great race and finished first, second, and third, giving us a whopping 24 points and a clear cut path to another group title. As a coach, it’s one of the moments you live to talk about for years to come. Three, uninterrupted green jerseys flying across the finish line in order without another competitor is a great sight to see. I’m not just saying that as a coach, but as an alumni of the school, it holds a special place in my heart. Speaking of expectations, we’ve come to Jordan. After finishing second in cross country and fourth outdoors the previous year I could tell Jordan had a different attitude about training during the summer. While he was one of the guys who always had the longest long runs, he stepped up his training tenfold after cross country. I think going to the Nike nationals really helped Jordan put the state championship in perspective. He understood what it took to run alongside the best in the state when he got to run against the best competition in the country. I think it made him a better competitor. So when the indoor Meet of Champions came around, I wasn’t as nervous as I had been the last year. I knew Jordan’s work ethic and I knew what kind of runners he was up against. The race went off exactly as we needed it to and Jordan took advantage of the pace towards the end and blew everyone out of the water. Championship number two. Most guys don’t get to even run in the Meet of Champions, let alone win two. We also added a fourth runner to our big blog of runners to talk about. Matt Schaefer. Matt was a guy who decided that in order for him to continue with running (as a sophomore) he would have to run 4:45 in the 1600 to keep going. He ran 4:44. Shortly thereafter committing himself to running, he ran 4:30, almost on the dot. This marked the end of Matt Schaefer the old, and brought in Matt Schaefer the new. New Matt Schaefer wasn’t afraid to put it out there during a run, and ever since last spring he’s brought a new type of training to the table and ended up dropping a 4:25 indoors. Talking about expectations, we have to mention the girls team. The girls team coming into cross country was one of the best kept secrets in an age where Snapchat and Instagram post everything immediately. Starting out in cross country, with a team of mostly underclassmen, I was impressed with how mature they seemed to handle the races. I was especially impressed with Delia, Catie, and Natalie who were out for high school cross country for their first season. The first season you do cross country can be very intimidating. After the girls had a very impressive sixth place finish at the Meet of Champions, they worked their way to one of the more impressive indoor season’s I’ve seen. The work ethic and maturity of this team was off the charts phenomenal. Individually, a lot of the girls had tough races in which they persevered. One of the races that sticks out the most for me was Colleen winning the mile at the Ocean Breeze indoor track. She consistently moved up throughout the entire race and managed to take the win in the last 150 meters. While it wasn’t a big meet to win, the win itself was impressive because it showed how hard work can pay off in the long run (pun intended) and it opened the door for a stellar rest of the indoor season, like winning Central Jersey Group III in the 1600 meter run as a sophomore. Winter track is also hard to physically run in. The weather is always cold and just when you think it can’t get any colder than it is guess what, it gets colder. We trained in pouring 30-degree rain and snow for two months. We were lucky this winter, two years ago snow covered the ground for six to eight weeks and forced us to run on Pheasant drive (every Colts Neck runner’s favorite place to be) for the entire time. And if it wasn’t two months’ worth of snow, it sure felt like it. When we were on the track we did get in a great couple of workouts. One of the more impressive ones was everybody’s favorite 133-meter workout. For those of you who don’t know, or have never run the workout it is a quick paced workout with very little rest in between the sets. At the end of the workout, the runners who weren’t declared dead were close to it. If I was a giant, I would have needed a spatula to get them off of the track. One of the better moments of indoor track came to when the boys and girls team started their grudge match. The only interesting thing to come out of this was a championship competition between Jordan and Colleen. Every meet indoors they would count their medals to see who had more wins that day and keep a tally in their heads on who was the better runner. This grudge match didn’t have any animosity in it, but extended out the entire season. If you were to ask me who won the grudge match I would have to say that it never ended and it’s still going strong, with the pendulum swinging back into Colleen’s favor. Spring track meant a new season, less snow, more rain, more track workouts and the return of a few people we lost to injury and other sports. It was good seeing some friendly faces back on the track. Spring started the same way it always has, with the addition of a few new people who never ran before. This is one of my favorite parts of being a coach, because with each new athlete you get a possible star waiting to be trained. All these runners need is just a little bit of motivation and support and most of the time they’ll surprise me and themselves along the way. So spring season started with a few changes. One of the best ones was the elimination of dual meets and the creation of a division/district championship (with the one exception of CBA). At the division meet, we managed to get some milestones. One of which was Liam Hoagland breaking the 2:00 barrier and running 1:59. 2:00 is one of those barriers that can haunt someone who chases a time and doesn’t run the race, fortunately for Liam he was able to go under by feeling the energy of the race flow through him, and not race the clock. The highlight of the spring season is getting to see all of your hard work play off. Most importantly, being able to experience the thrill of success is the aspect I miss the most about racing. The Holmdel twilight series is the crown jewel for all racers. It gives everyone a chance to go for broke on the track. At the risk of sounding like an old man. When I was your age, we didn’t have these fancy Holmdel twilight meets. We had an invitational, dual meets, and, if you were lucky, the sectional meet. These races are the opportunity for everyone to run fast. Training for these events requires an intimate knowledge of both the human body and the sport itself. For example, it makes very little sense to run workouts that only improve fast muscle reaction early in the season, and then start to run heavier, bulkier workouts at the end. That would be like glazing a turkey before it has been roasted in the oven. Doing things out of order is what leads to injuries. With that in mind, we structured the workouts to prepare our athletes to peak at the right time. While many runners struggle with the 3200 (And it’s understandable, some people aren’t built to run that distance). Many others shine. Kevin Berry took the opportunity and used it to run a 9:15 3200, a massive personal best. Giving Colts Neck four runners at 9:20 and under. The boys weren’t the only team that showed up to race that night. Natalie and Eva both ran huge personal bests in the 3200, with Natalie going under 11:30, and then a week later running under 5:15 in the 1600. And to think Colts Neck was her second choice for High School. Our legacy of coming in second continued at the county meet, with Colleen’s impressive 2:15.47 800. What was really impressive about her race wasn’t the final time, but the time at her 400 split. She managed to run faster the second half of the race than the first, which is a huge rarity. Typically, running a negative split (for a good time) in the 800 is an incredibly difficult feat to accomplish. Unfortunately, she didn’t lose to Gindi, so we’re not sure if she’s a real Colts Neck runner. Which brings us right up to the night of the 1600s twilight meet. The night of the 1600s is a mid-distance runner’s Olympics. The unfortunate part about the race was the temperature. Starting off, the race was “boiling hot”. The good news was it wasn’t broiling hot, otherwise the runners made out of fish would have likely been cooked! The beginning of the meet was difficult to run in, the heat playing a part in many runner’s times. By not being exposed to the heat while training, and then suddenly being throw into the race, it’s difficult to make the adjustment. But some runners found ways around it. Max Miller, a freshman, crushed his old personal best and ran 4:58, joining the under 5:00 club of freshmen boys. It was also a successful night for Matt Schaefer, who ended up running 4:17 off of a hot pace. The girls ran just as well, with the top finishers from the night of 3200s running just as well as they have all season. Eva Gibson finally broke 5:20 with a crushing 5:16. Once one door closes, another opens. Now Eva gets to set her sights on breaking 5:15 and soon enough, 5:10. We were hoping that the pace for the seeded girls race would be fast enough to get Colleen under five minutes but unfortunately, the pace just wasn’t there and she continued the Colts Neck tradition of second place finishes. So there it is folks, the newest edition of the blog, clocking in at 2033 words. Our next update will be soon (and I mean soon) after the sectional meet. Until then, keep your runs healthy. The completion of any season is always a bittersweet moment. Having experienced this both as a runner and a coach, I can say without a doubt it always hits a little harder when you’re the athlete and especially when you’re a senior. Looking back at your high school cross country careers can be challenging for a runner whether or not it was a good or a bad year. Runners have short memories. A lot of the time people will focus on their last race. In some cases, only their bad races get the attention; it’s a bad habit. It’s a habit that I’ve developed over the course of a thirteen year running career. For all the athletes reading this blog, I want you to try to look at the big picture. Look at your training logs from the summer and compare them to what you did last year and two years ago. Look at how far you’ve come and realize that there are still two more seasons of training and races left. There’s plenty of time to get those times down. Individually and as a team, both teams had incredibly successful seasons. I would say the biggest surprise in the Shore Conference (and Group III) would be the girls team by a country mile. We had a feeling the girls would do well, but Colleen running 18:59 at Holmdel and finishing second in Group III when her best time last year earned her 66th place just goes to show that what we’re telling you works. The time you put in to this sport is directly proportional to what you get out of it. I think the boys successfully lived up to the hype created for them. Keeping fit for so long during a season to make it to Nationals is such a challenge. That’s part of the reason so many teams go to Oregon and flop. Your body becomes tired and fatigued to the point where you’re surviving for the entire race. There’s no shame in a fourth place finish at the region, especially when you get to beat CBA to a second place finish at the Meet of Champions. Keep in mind that the past few years for this team have been a wonderful journey. Before this team was even in third grade, the best place finish we ever had at the Meet of Champions as a team was 10th in 2005. With a team average of 17:00.6. This team averaged 16:19.8. Is this team more talented than the previous teams? Probably so, (even with Forys) but do you think the boys would have gotten anywhere near this if they hadn’t been pushing each other during the summer? Continuing practice way after the sun had gone down to keep doing bands or strides or core. The answer is no. Not in a 100 years. As long as you can walk away from this sport saying that you put everything into your training then guess what, you didn’t have a bad season, you had a “you season” and, as far as we’re concerned, is alright. I’ve decided to add some pictures this week of the teams at the meet. Here’s the first one to the right. This basically sums up the success of this past weekend. Never in Colts Neck history have the boys and the girls both won the group meet in the same day. The beginning of the day started as any other did, waking up at 4:00am to barking dogs and a room with a temperature/humidity ratio bordering somewhere between an amazon rain forest and a cabin at XCU. After not running for a few days, I decided to do an easy five at the Manasquan reservoir to get ready for the day. During my run, I made a weird decision; I ran the loop backwards to get a new perspective on things. A new perspective is good once in a while, it helps to give a situation a fresh set of eyes. A lot of times, we don’t give ourselves the opportunity to look at things from a different perspective. Many times we’re so busy worrying about what we’re supposed to do that we don’t take the time to see it from another angle. Sometimes it’s easier to approach things with a fresh set of eyes. So, I ran the reservoir backwards and to my surprise it was actually much more refreshing than running it forwards. I felt like I was gliding for most of my run. There was no rush, no lactic acid buildup or anything to make me feel uncomfortable, just the sound of my feet crunching the cinders and the cool fall air pushing against me as I strode forward into the new and familiar surroundings surrounding me. If you’re reading this, try to look at running from a fresh perspective for the Meet of Champions, run a loop backwards, and run with people you don’t normally run with. Mix it up. Do that before we head off to one of the final meets of the season. Sometimes a fresh perspective can be a game changer. Winning a conference title is a great feeling. Winning it for the first time in ten years is a fantastic feeling. For the first time in 10 years, our lady cougars hoisted the Shore Conference title plaque. Coach Schlentz and I spent the days before predicting times, and while his were closer than mine (I’ll get him one of these days). Both of us had them winning. The key to the race was having a solid number five runner (Catie Anderson) finish 29 places ahead of Toms River North’s fifth, and 19 and 21 places ahead of Middletown South’s fourth and fifth runners. It was especially important considering that North crushed everyone up front by going first and second. The girls were led by Colleen Megerle who is now number three all time at Ocean County Park with a time of 18:19, and only behind Ashley and Brianna. Rae ran her absolute best time of the season, and is tied for sixth all time at Ocean County Park (tied with both Allison Donaghy and Eva Wimberly). The entire team was only 19 seconds off of the team average in 2006. The same team that was fourth at Oregon. The best part about this is that six of the seven are all underclassmen. It’s hard to hold in the excitement that there is for this team. 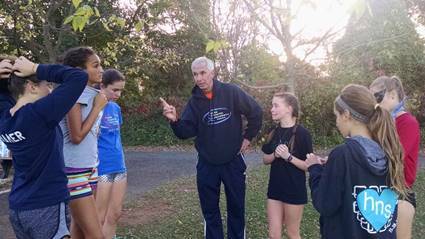 That excitement is multiplied when dyestat ranks the girls 4th in the Northeast. Just think of the possibilities. During the race I was admittedly nervous for the girl’s team until I saw how far back everyone else had their fifth runner. It only took me 7/8ths of the race to figure out we were going to win it. The boys had a different story. Big congrats to both Jordan and Anthony who are now 1st and 3rd all time at OCP. Jordan ran a great race, sitting early and waiting until the second half to pick it up. According to coach Schlentz, Jordan ran a huge negative split to open up a big gap on the field and run sub 15 minutes in the 5K for the second time in his career (I’m not counting CBA’s course). I felt pretty confident during the boys race. The smartest and grittiest race of the day most definitely went to Anthony Russo. Anthony ran near perfect. He was in the heat of the chase pack for most of the race, and slowly moved up the entire race earning fourth and a great time of 15:12. We also had four runners break 16 minutes at OCP, which is a feat we haven’t accomplished before. The week leading up to the sectionals (on 11/5/16) had some impressive workouts. I think Monday’s fartlek workout was the toughest workout we’ve done since the CV repeat miles. Don’t think we didn’t notice how tough you guys ran, it was certainly impressive. With this weekend fast approaching, I have a good feeling we’re going to see some incredible performances. The only concern is that this is our second time racing at Greystone a course that’s as unfamiliar as it is uninspiring. It’s a two lap course with a mild hill in the middle and nothing to separate it from any other course (At least Thompson has a flat first half and a death hill the second, Ocean County Park and Delsea are flat and have produced some fast times, and Garrett Mountain is almost as dangerous as Holmdel Park). I just don’t think it’s an interesting course. But it’s definitely not out of reach for our team. Hopefully both of our teams can make an impact. This weekend. Welcome back to the new and improved True Grit running blog for the 2016 XC season. Welcome back to school! The benefit of being a teacher is being on the other side of the desk (as I’m sure coach Schlentz and Coach Lykes can attest to) I’m sure everyone is excited to have returned to school so they can compete in a new XC season. With a new cross country season comes new beginnings. It’s a time for change. We say good bye to our old seniors and say hello to the new freshmen. It’s also a time to forget about your old times from last year. Last year is in the past, it’s time to look forward to what’s to come. So what is to come this season? Well the boys opened up their season with a grueling tri meet vs CBA and Manalapan. At stake was the legendary 343 straight dual meet streak. As someone who attempted to break that streak 10 years ago when it was around 270, I can say that even though we didn’t break it, I couldn’t be prouder of the results from the boys. We managed to take the fight to them on their course. Everyone ran brilliantly. Congratulations are in order to Jordan for absolutely smashing the course record and managing to get a pyrrhic victory out of the race. Last Saturday we had a great time at the Bernie Magee race up in Greystone. As most of you know, this year we were sectioned off in North II for the first time in school history. While it’s always cool to see new courses (and let’s face it, no one likes Thompson besides the spectators) it is a change of pace and requires that we do an early invitational to see the course. Lucky for us there was a class meet we could sneak into on the same weekend as the Thompson meet. Huzzah! I thought overall the race went well. Our Cross Country newcomers (Delia, Catie, and Nat) all ran around what we predicted them to run. Even though the weather got a little hot towards the end, everyone stuck it out. I like the course. I think it’s a little easier on the legs than Thompson. It has fewer hills and they’re a little more gradual than Holmdel. It’s a pretty easy course to spectate too, so everyone can get some mile splits. Unfortunately, I had to run with my phone for some of the race so I could relay the splits to coach, and I immediately realized that running with your phone is miserable and I have no idea how people do it. Big congrats to the freshmen boys for their unbelievable performance. After having only three guys come back from last cross country season, it was nice seeing a solid group of them run well and get some medals. Hats off to Kyle Roeder for a very gutsy race. All in all, I’d say we have a lot to look forward to at Six Flags. The obvious exception to this would be Russo getting the fabled course record at Six flags. The boys’ varsity will travel to Bowdoin Park in Poughkeepsie to run at the regionals course and race with the big dogs. Good luck and remember make excuses to run, not excuses not to run. There is a rarity to being an elite athlete that only few can understand, and fewer can appreciate. Every athlete who competes at the high school level competitively dreams of winning the Meet of Champions. Running is a sport that takes the human body well past the point of what it is capable of sustaining. Runners constantly punish their bodies during races. A non-runner sees this and says, “What’s the point? Why run?” and, to them, the question makes complete sense. Why do we run? Why do we constantly pursue greatness in such a punishing sport? The answer is a lot simpler than people would realize. But before we get to that answer, I want to talk about the accomplishments we’ve seen leading up to the Meet of Champions. I want to talk about Jordan and Anthony, Raeann, and the girls 4x800 (Steph, Kayleigh, and Eva) . We’re fortunate to be involved with a team that has such a rich tradition involving state championships. It started with Craig and Ashley vaulting the program into greatness the mid 2000’s. Both of them inspired a generation of athletes. So much inspiration in fact that a year after Ashley graduated Allison Linnell managed to win the girls 1600. All three of those Meet of Champions winners have one aspect in common. All of them were willing to take a risk. The ability to risk everything during a race is crucial and one of the hardest aspects to accomplish and in my opinion it’s one of the scariest things an athlete can do, or attempt to do. To put yourself in a position to win during a race, you must be willing to sacrifice something. Our sport is built upon that principle. Great runners don’t fear the pain, they fear losing. Last fall when I started this blog I named it “True Grit” for a reason. The grit that a runner shows during their race is directly proportional to how tough of a race that they ran. People aren’t necessarily born tough or talented for this sport, but they can make themselves tough and can work hard to the point where talent becomes negligible. When Jordan won the 3200 indoors I was elated. It was amazing to see someone who put so much in to the sport finally get their moment. I didn’t realize he would win until about 600 to go, when I saw the move he made was putting everyone else closer to their breaking point. Everyone has a breaking point, the trick is to make other runners think theirs is closer than yours. Running is as much a mind game as it is a physical one. Every Meet of Champions is different. Just because someone did well in the last one doesn’t entitle them to do well in the upcoming one, and vice versa; our sport can be as unpredictable as the weather. I feel that the best chance for all of our runners to do well is to take the aforementioned risk. Without risk there is no reward. Rea managed to go from 5:07 down to 5:00.21 in one race because she understood that pain is necessary to running an outstanding time, and I think that tomorrow if she runs the same way, she’ll run out of her mind. The same thing goes for the entire 4x800 team. After graduating two seniors last year on the 4x800, we didn’t expect to make it anywhere as far as we did this year. Girls, if you’re reading this, be as fearless in your race as I know you can be. And this strategy isn’t a guarantee of success. There are a thousand factors that can influence a race and even if you run your best time, there is the possibility that you could still lose and that’s okay. The only thing that we, as coaches, ask of our athletes is that you be fearless. Sometimes running your best race isn’t good enough and the risk doesn’t pay off. We won’t be mad or upset. So with that I guess it’s time to answer the question I posed earlier, “Why do we run?” We run to test our own limits. To push our bodies past their breaking point to prove ultimately, that we are the best versions of ourselves. We run to dismiss the lies that fear and anxiety bring upon us and to prove that the phrase “I can’t” is a false prophet. We run to show that our limits are not set in stone before we run, but are set by ourselves. As runners, we control our own fate. We decide where our limits end. For some they stop at when it starts to hurt. For champions it stops when we’re dead. Good luck guys and girls! It’s been a while since we last met to talk about track. To be completely transparent, I didn’t expect not to write for this long. Normally, I’d say, “Life got in the way” or something empty and sterile, but it would be a lie. I was lazy and I’m sorry for not getting to this sooner. To recap everything we’ll have to go back a ways. The most exciting event would probably be Jordan anchoring the boys 4x400 at the Colts Neck RBC/RBR tri-meet. It was a tough race but the current 3200 Meet of Champions winner managed to pull it off. I guess I should make a special write up on the meet of champions shortly after this one expressing my thoughts throughout the race. The start of Spring Track ushered in a new generation of runners. The most impressive thing however, has not been the talent level, but the work ethic of everybody. There are two things (well three, we’ll get to that later) that can’t be coached. Talent and work ethic. It’s not possible. Lucky for us we have a ton of both. Especially with the girls team. Since winter track, the biggest leaps and bounds have been made by the freshman girls whose work ethic is matched only by the varsity boys. Catie Anderson and Delia Russo have already scooped up enough varsity points from dual meet to earn a varsity letter and its only their second and first season’s (respectfully). While both are impressive milers I think they’re going to find success in the 800 and 1600 (that is until this Friday when they get to run an all-out 3200) AT the CN v LB dual meet both were 2:33 and 2:34 (with Eva Gibson running a stellar 2:32 as well). If you include Colleen Megerle’s 2:31 that’s a 10:10 for the 4x800, which is faster than the current frosh record set in 2006. But they’re not the only ones who have shown some grit. This past week vs Long Branch in the 3200 we got to see Teresa Marsh, Maddie Divino, and Alex Martarella go 1, 2, and 3 with a huge second mile for all three. So while we’re still talking about the CN/LB dual meet we should talk about two new members of the Colts Neck Varsity Club; Matt Schaefer and Matt Hartman. Matt “Call me Schaefer” Schaefer broke through in the boys 1600. During the race Mullan of Long Branch broke away early to cruise to first place while Schaefer managed to run a second off of his personal best completely by himself and then topped of that task by holding off Long Branch’s 2nd and 3rd milers. The crazier race however was, without a doubt, the boys 3200. The boys started off well going 80 seconds for the first quarter (5:20 mile/ 10:40 3200). After that, it got a little crazy. They dropped to 84 pace. The 4 second drop turned 5:20 pace to 5:36 pace and then the 3200 turns into 11:12 pace. At the mile, they ran exactly 5:36 with another gloomy 86. While the mile time was actually okay (especially conserving Matt’s negative split) I was more concerned with the pattern of slowing down and hoping 90 seconds wouldn’t pop its ugly head out to ruin the boys 3200 as it has a habit of doing. The second mile finished at around 7 seconds faster than their first mile with the exception of Matt Hartman. After the first mile Matt decided he wasn’t hurting enough and dropped his pace significantly down to a 5:19 last mile with a 72 last quarter. I was stunned and excited. I had never seen Matt race so aggressively in his life and I couldn’t help but smile as he came across the finish line. Maybe Dude Perfect’s found his event? The varsity girls had a great CN Relays. Both Colleen and Rey and impressive doubles. Colleen has some such a long way since Cross Country I keep forgetting she’s a freshman. With a 3:53 1200 followed by a 2:35.2 I’d say she’s definitely made excellent progress. As the latest addition to this blog comes to a close there are two more meets I’d like to talk about. The first is by far one of the most unique races I’ve ever witnessed. The 2000 steeplechase is a combination of hurdling, jumping over puddles, and good old fashioned craziness. Unlike normal hurdles, steeplechase barriers do not move, at all. The water jump is permanently built into the track, so if you hit the hurdle you end up falling down, not the hurdle. The barriers are essentially 4x4 wooden beams that are hurdled. When we got to the meet we were greeted by one of the most beautiful college campuses I’d ever seen. Completely with a college track that housed the throwing events in the middle (with the exception of the javelin). We were also greeted by Kevin Berry who was at TCNJ for a TSA competition (and was a huge help with splits, thank you again Kevin!) From a spectator and fan of the sport, I have to say I can’t believe how some coaches le their runners in this even with so little training or knowledge of the race. Some kids were using two hands to get over every single barrier. It was dangerous and stupid and I understand why this race isn’t run at the high school level very often. But anyway, back to the show. Rea looked great in warm ups and had a high seed going into the race. From the first hurdle, you could tell there was a difference in coaching. There were only three girls who knew how to hurdle and Rey was one of them, the other two included a girl from Monmouth Regional who was a 400 hurdler and the other was a girl from Princeton with good hurdle form. Rea’s first lap went off well and she took the lead on the second lap, she missed the water barrier with her foot (it actually landed out too far in front of her) and she ended up doing her best Kayleigh Hoagland impression. The next lap she did the same thing (unintentionally of course). If you watch the race footage, you can hear an audible gasp from my on both laps. Well it was her first steeple and it’s not totally surprising that she fell over a barrier, there were bound to be some hiccups in the race. After the race however, she was all smiles and eager to run it again. There was no fear or self-pity just resolve. Resolve is another trait you can’t coach. It’s something built into each runner that is intrinsic and grows from within. It’s stubborn and refused to surrender. You cannot be a good runner without it. Those who quit easy aren’t the ones who are remembered, it’s the ones with undying resolve who pass all test and continue. Finally, let’s talk about the Penn Relays Carnival. It’s one of the oldest and prestigious meets in the history of our sport. I never had the opportunity to compete in it and, to be honest, it feels like I missed out on something big. To be part of a tradition that goes back to 1895, and is held at one of the oldest and most distinguished universities in the United States is something that few runners experience. Every sport has its place where athletes make pilgrimage to every year in order to attain some athletic enlightenment or to accomplish some goliath task. Baseball has the World Series, college football has the Rose Bowl, and we have Penn. The athletic achievement required to qualify for the Penn Relays is second only to nationals and typically hosts the best track and field athletes in the world. By running at this meet Jordan got the opportunity to run with his future division 1 competitors and possible teammates. By throwing a big move in late in the race and running 8:26, earning 6th, he got the opportunity to show them he wasn’t just along for the ride. That’s all for now, I’ll do a special write up for the meet of champions soon and my next blog entry will continue from The Lion Invitational and will cover the night of 3200s. Winter track season has been an incredibly impressive one. We’re currently only one meet away from the Central Jersey Group III meet, and already we’ve had some blazing times for the distance runners for both boys and girls. Every once in a while, an athlete decides they want to take the next step in their training. When they do, you can almost physically see them change. It’s a pretty awesome sight to see. Jordan took that leap this summer when he upped his mileage, and it showed when he finished 2nd at the State meet and in the top 20 at the Meet of Champions. In winter track, Kevin Berry is the one who made that jump. And it’s not as if his training has changed much either. He’s doing the same workouts he did in cross country. But with a different attitude. Watching Kevin run since the end of cross country he looks like a completely different runner. Last week we ran a 15 minute tempo and he was right up in the front, running around a 5:24/5:28 for his first two miles and then ran some 300s at around 50 seconds. So far, he’s absolutely destroyed his former outdoor PB in the 3200. He’s sitting at a cool 9:40, which was good enough to get him third in the Shore Conference. Outkicking the Shore Conference winner from Cross Country in the final 50 meters. Kevin’s put himself in a great position to do some serious damage once the sectional and state meet’s start rolling in to town. So far this season, there hasn’t been much disappointment regarding the distance runners. Throughout training, I’ve noticed that most of, if not all runners have been taking their training seriously. With the exception of the girls DMR at the County Relays (which was not only a complete blunder by the officials on the track, but in the scoring of the event, which I won’t go into now). Our girls have been running some great times. At the Shore Conference, Colleen Megerle ran a huge personal best in the mile at 5:30, Raeann (who will now be referred to as ‘Rey’ in this blog from now on) got 6th in the mile with a new personal best of 5:17, and Steph O’Horo who got third in the 800 with a 2:23. All three girls ran the entire race in control, and ran tough. Who knows, maybe there’s a Distance Medley relay in there somewhere Coach Schlentz? I think Rey’s race went out a little slow, but she had a good second half, didn’t panic, and fought tough her last 50 meters to keep in the medal range. Stephanie had a little bit of the same thing happen in her race. She had a nice move off of the final turn to steal third place. Colleen’s race went just as well, with a strong middle 800 that showed some true running grit. Last, but certainly not least, is Matt Schafer in his only 3200 this season. He was seeded around 10:40 in the race, and ran well during the race to knock out a 10:22. Matt’s started in last during the race, and made the decision he didn’t want to be in last anymore and slowly (and carefully) moved up in the field. During the middle it seemed that the race got away from him a bit, and he slowed down a bit, but ended up with a great time. Matt’s been making great strides since the end of cross country and has really let his training catch up to his talent. I predict he’s going to have a monster race at the night of 1600s next Wednesday. I have a time in my head, but I’m not going to share it just yet. At practice, we preach running a strong middle of the race. It’s been the bread and butter of the success we’ve had with runners. We’ve done everything from designing workouts to test our runner’s endurance during the middle of the race, to running the middle of the race to the point where we don’t care about the last lap. The last lap is inconsequential to the success we’ve had running. A lot of runners get scared when they get to the middle of the race. They think that the race is going to keep going forever, they panic and slow down to prevent themselves from dying, by doing this, you’re going to end up with too much left at the end of the race and not enough spent running it. That’s the exact opposite of what runners are supposed to do during a race. You’re supposed to run a strong 1200 (for the 1600) or a strong 600 (for the 800) to not only test yourself, but test your competition. Running a strong race is a leap of faith. During the middle of the race, you have to trust your training. Don’t be afraid to hurt, everyone else in the race is already hurting. By accepting the pain and continuing to run strong, you’re making yourself a better runner, and putting yourself in a position to run a huge time. We don’t train for months to run a safe race, we train to take risks and wait for the payoff. There has never been a reward in this world that hasn’t had a risk worth taking, and running is a great metaphor for it. That being said, I feel this batch of runners does a great job of not being afraid of the hurt during a race. At the Monmouth County Championships, Jordan made a big move with 1200 to go in the 3200 from way farther out than he’s used to running. His move wasn’t strong enough to break the big kicker in the race and he ended up with second. The slow 4:53 first mile made his move even more impressive. Sometimes it’s harder making a move off of a slower pace than a harder pace when you have a kicker in the race, because chances are he’s still a factor, and your move has to be that much stronger. In the Shore Conference meet he went with 500 to go, but the pace was also slow, and the move wasn’t strong enough to break the two kickers he had with him during the race. To be completely honest with you, I’m not concerned. Being county champion is cool, being shore conference champion is cooler, but being a sectional or state champion is coolest. If we can practice these moves now and perfect them, we can do some serious damage come the later meets, which is the main goal. I think the way we’ve run in these earlier meets is going to pay dividends come the later meets. For the immediate future, we have a big meet coming up at the Ocean Breeze Complex in Staten Island, NY. While there’s a stacked 3200 meter championship, I think our boys running the 1600 have a great chance of making a splash. So that’s where I’m most likely going to be this Saturday. And I’ll report back with my thoughts on the race next week. So I should probably start by apologizing for not writing a new blog for a couple of weeks. I’ll come out and admit it, I dropped the ball and have been putting it off for a while. Mostly because I didn’t know what to write about and wasn’t sure if anyone was reading. Then came the complaints about the lack of blog…and I kind of realized that I should probably get to writing. So thank you everyone for yelling at me to write and continue this, hopefully it will continue full force into winter track season. So let’s go back a long time to the State meet. If I remember correctly, we were favored going into the race, all of our runners placed in the top 15 and beat Indian Hills with 48 points right? Wait a second, my producer is telling me that wasn’t the case. Okay, now I’m remembering what happened. We came in second and scored about 114 points, right? Okay, back on the right track. Indian Hills scored 50 points and went 3, 9, 10, 13, and 15. Everyone could have ran 20 seconds faster, and we still would have only scored about 80 points. It didn’t matter. They’re simply a better team right now. There’s no shame in losing to an opponent who’s better. So my hat’s off to the Indian Hills team on a great race. Now to our credit, we did manage to beat Middletown North, who the writers predicted would beat us that race. So when it’s all said and done I feel like we ran what we were supposed to. Now, let’s look at the individual results. Individually, I felt the race went out slow. Really slow. For those of you who weren’t there our 7th man at the mile was about 6:04, which translates to roughly 18:12 (he ended up running 17:43). This was determined by the killer wind that both teams had to contend with at the start of the race. The boys all ran about their personal best or a couple of seconds slower. I have to say that I was ecstatic to see Zack racing again. After missing almost the entire season with a stress reaction it was good to see him spike up and take to the hills. I thought he handled the course well. After spending most of the last two weeks doing some speed work in spikes, the coaches felt he could run with spikes on and not risk another injury. Major congrats to Jordan who managed to reel in some big competition to finish second, and losing to the eventual Meet of Champions winner; Josh Clark. Jordan’s first mile was slow (5:40). I don’t think he was even in the top 30 at the mile. Coming out of the bowl at the second mile, he had moved up considerably and was in 4th. He then managed to pick off the next 2 runners and cruise into second off of a really slow first mile. We were all really happy with the boys’ times, especially considering that first mile. Now on to the girl’s race. This race was fantastic, because they all ran faster their second mile, or slightly slower. No one had a bad second bowl mile, which is usually the part runners fear most (although they shouldn’t, it’s just a hill). To illustrate that, I’m going to shamelessly rip a table from Colts Neck’s website. All of the girls ran their second mile faster than their first, or just a little bit slower. To see which individual split their second mile was, just look at the number in parenthesis. The team moved up incredibly throughout the race but only scored 12th place (as seen above) but was only 37 points out of 6th. Considering we finished 5th last year, Being 37 point away from 6th isn’t too bad. It’s extremely exciting when you realize that five of the seven are coming back next year. I have to say, I think Raeann had one of the gutsiest races of the girls. Not only did she have the fastest bowl mile split, but she managed to catch up to Kayleigh, and run with her for the entire rest of the race. This is pretty impressive, especially considering that this was only her third race since the Six Flags meet. This girl’s season was probably one of the most exciting in recent memory. Not just because they finished so well, but because they finished so well after sustaining so many injuries. At the Manhattan Invitational, we were missing our top three returning girls from last year. If you looked at the end of the season from there, you would have thought that it was over. But they persisted, and ran incredibly gusty. Like I said before, I think we’re going to see big things come from this team in the coming years. Okay so remember when I said I was happy with the boys times from the state meet? It wasn’t that long ago. If you want, I’ll wait here while you scroll up to read it. Okay, done? Good! Their times improved greatly from the state meet to Meet of Champions. Especially Jordan’s. I was not expecting a 16:08. I think we all knew it was possible, but being under 16:10 as a junior really sets up a big senior year. The rest of the team also had some good times. The times were good. I think the long season finally caught up to our runners and we’re pretty banged up. The whole week leading up the race, most of the running we did was easy distance mixed in with some quick turnover. The point being that we don’t want to tire their legs out, but we also don’t want them going into the race flat, hence the turnover. The race went out faster than the previous week. The leaders up front were pushing with themselves the first mile, and eventually split up going into the third mile after the bowl. Our team was running well, especially with the lack of pressure like we had the previous week. I thought we all finished well. The good news is that the season isn’t over yet. Jordan, Anthony, Zack, Alex, Liam and Kevin are all running the Footlocker Regional race at Van Cortlandt Park on Saturday the 28th. I fully plan on being there rain or shine (I really hope shine). So good luck guys! Let’s have a great last race of the season! Another couple of weeks, another couple of races. Some surprise wins and outstanding performances. Welcome back to the True Grit Running Blog. We ran a good Shore Conference race. Both the boys and girls had some impressive team and individual races. After that came Saturday’s Central Jersey race at Thompson, where both the boys and girls won. This feat hasn’t been accomplished since fall of 2004 (back when I was sophomore running cross country for the first time. Using the word “run” very liberally). The girl’s team at the Shore Conference ran a very tough race. Leading the way was senior Kayleigh Hoagland (who hasn’t realized that she’s actually a runner) who finished with a time if 19:24, and 25th place. All three of the freshmen girls have been running great races, with Elizabeth running 20:01, Colleen running 20:05, and Eva running 20:45. In the freshmen race, we had three girls easily break 14 minutes. This is without a doubt the best freshman class we’ve had at Colts Neck since 2005, and that team went on to place fourth at the nationals in Oregon a year later. The boy’s team had a little bit of a rougher time. The pace went out fast (there were at least 12 boys under 4:45 at the mile) however, the overall times this year were slower for those who finished 6th and slower. Coach Schlentz has a theory that due to the unusually warm weather at the start (it was around 67 degrees for the boy’s race, or 66. I’m not sure, I’m not a doctor) there was a little bit of fatigue during the race which lead to some slower times. Overall, the boys finished 3rd. The following week after Shore Conference, the boys and girls had an easier week of training to get prepared for the Sectional Meet on Saturday. The JV team however, had a different kind of week, with the Unofficial JV championship meet on Wednesday at Thompson Park in Jamesburg. Alberto Rodriguez led the pack with a huge time of 17:47, coming off of a big 5:32 first mile. It seems like the race went off fast, and Alberto was able to hang on for a 47th place finish. The boys overall placed 19th. This week we had two freshmen boys run, and they had to run the whole 5k. Both boys stepped up very well with Jack Hayes running a 19:24 (after going out in a brisk 5:50). The girl’s team only had four girls compete, so unfortunately they didn’t get to score as a team, but ran very well. For those of you keeping score at home, that’s three freshmen in our top five, and all five scoring girls in the top 20. I can tell you this sets us up for a very exciting indoor and outdoor season, not to mention the next three years. The boys, to no one’s surprise, finished first. There were two individuals whose performances helped cement the victory; Liam Hoagland and Gavin McDonnell. Liam managed to catch Ben Miller of Ocean, putting our four in ahead of Ocean’s third, setting us up for a close victory. However, if our fifth place runner decided that he didn’t want to run that day, then we would have been doomed. Luckily enough, we had Gavin. On Saturday, Gavin showed us why he belongs as a varsity runner. His time of 17:30 (a personal best) put him 10 places in front of Ocean’s fourth, sealing the victory. If not for that, we would be singing a mighty different tune today. Our next adventure is an oldie, but a goodie. We return to Holmdel Park for the Group 3 State Championship meet. The top three teams will move on to the Meet of Champions. We’re hoping that this isn’t our last week of running. The key to this race will be patience. If we can be patient, we can win. Welcome to the first (of hopefully many) blogs by everyone’s favorite cross country coach not named Schlentz or Lykes. In this week’s edition I’ll try to bring everyone up to speed on what’s been going on this season, and look ahead to the championship season that’s just around the corner. During the summer, both the boys and girls teams managed to greatly increase their summer mileage from last season. At the time, it felt like a big grind for most of the kids. Most of the varsity boys were running their mileage somewhere in the mid-70s (which also happens to be Coach Schlentz’s favorite decade music wise). Using this bulky base, both teams were able to have an extremely impressive invitational season. 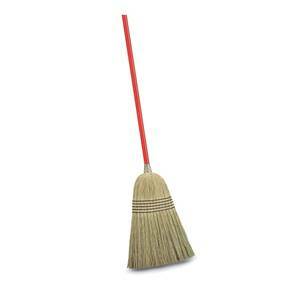 The boy’s team finished the divisional season at the top with a record of 7-0, beating every team in B North. The team was so dominate that no team was able to put a second man anywhere near the boys top seven. The girl’s team finished with a record of 3-4. Both the boys and the girl’s teams are running fantastic. The boy’s team hasn’t had much success on the big stage, at the Meet of Champions. The best team finish at the Meet of Champions was 10th back in 2004. The girl’s team has had more success. The girls finished second in 2005 and won the Meet of Champions in 2006. They also placed 4th at the Nike team nationals that same year, with a winning performance by Ashley Higginson. As mentioned above, Jordan Brannan has been running like a man with a mission. A bulky summer and a no-nonsense attitude toward training he’s quietly managed to position himself as one of the best runners in the state. His 15:49 at Six Flags puts him as the 10th fastest runner in the state according to Milesplit. Rick Sommer and Anthony Russo have both made impressive strides this season. Running 16:44 and 16:36 respectively. For the girls, the entire freshmen team has outperformed everyone’s expectations. Led by Elizabeth O’Horo, who has finished in the top ten in every freshman invitational this season, they seem to be marching to the beat of their own drum and winning races. Along with taking home three team titles, they ran an extremely impressive team average at Van Cortlandt Park. Speaking of the devil of a course that Van Cortlandt is, Andrew Imbesi managed to cruise his way to a victory with a time of 13:59 seconds. Breaking the 14:00 barrier for the grueling 2.5 mile course is a massive accomplishment, especially considering he ran the last half of the race by himself. The next couple of meets start the championship season. For the Varsity teams we only have the County meet, Shore Conference, and the state qualifying meets left on the schedule. If we want to see the teams up on the stage at the State meet, it’s going to take some fine tuning to get there. As the weeks have gone on, the training has adjusted to both the weather and season expectations. Our bulkier workouts have been switched out for some speed in hopes of building quick turnover for late race heroics. The sharper we get towards the end of the season, the more likely we’ll be going home with medals and plaques instead of broken hearts and melancholy trips to the Colts Neck General Store. The first race of the championship season began at Holmdel Park with the County championship race. As mentioned above, the boys finished second at the meet. The pace for the varsity race went out fast in 5:24, but slowed at least ten seconds during the second mile. By slowing down, the pace became easier to maintain, and it forced our runners to use their speed in the back part of the course, which hasn’t been finely tuned yet. The result was an expected second place finish, but all of the coaches agree that the times would have been faster if the second mile hadn’t slowed down so much. The girls race was also a little slower, but it didn’t have an effect on the girls placing 8th, which is incredibly impressive considering that we were missing two out of the top three girls, and the girls that have stepped up to the plate this whole season have been freshmen. Some of you are probably wondering why I decided to name this blog after a John Wayne movie. The truth is, I feel that the sport of running requires more than just raw talent. Running, to me, is a sport that requires determination and grit. The team that is at Colts Neck right now embodies that idea to the letter.